Microsoft has launched a new iPad application giving users free and simple access to the full array of real-time MSN content whilst on the move. Replicating the new-look MSN site the iPad exclusive application features a selection of easily navigated content streams covering off the media outlets selection of news, sports, lifestyle, entertainment and cars coverage. 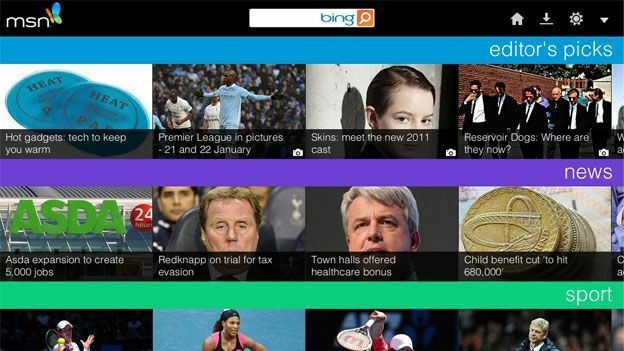 Further enhancing the MSN on the move experience users are able to view the services video channel as well as an 'Editor's Picks' section of the top content. With one-click access to user's Hotmail and Messenger accounts as well as Bing internet searches from within the application the MSN UK iPad app is further bolstered by the ability to download all current content into an offline available format perfect for the morning commute. What is you current commute-beating iPad application? Is there room for the MSN offering on your daily travel? Let us know via the comments box below.